The answer could be previously undisclosed new evidence and the “key” to a new trial. If there is just one piece of evidence that the prosecutor failed to turn over to the defense which could have altered the result of just one juror’s vote, then it is a “Brady violation,” (a US Supreme Court precedent). If that happens the court would overturn the criminal conviction, and that is a whole new ballgame. Mumia has one year from the discovery of the evidence to file a petition. For decades it was the routine practice for Philadelphia police and prosecutors to illegally strike minority jurors, manufacture evidence, coerce false witness testimony and surpress evidence of innocence. The Castille appeal which currently sits before the PA Superior Court faces an unsympathetic appellate court and potentially years of litigation. Where as, an amended petition or a new complaint that includes Brady evidence could be a bullet train to a new trial and freedom. This just in 3/27/19, Common Pleas Court Judge Leon Tucker (Supervising Judge of the Criminal Division)’s supplemental ruling. Click here. “Justice is being conformable, human, divine, fair, impartial, honest …no matter what. Not sometimes or most of the time, but at all times, be it at trial or on appeal“. Kafka could have taken notes from these folks. It is even possible that they would rule that the Castille petition has to be decided before the suppressed evidence can be offered in a subsequent PCRA. For someone that has spent nearly four decades in prison and is arguably innocent, it would be par for the course in this state, for a court to make that argument. Amnesty International has condemned Mumia’s original trial, and he has spent 36 years unjustly in prison. While Philadelphia DA and Larry Krasner might not feel a sense of urgency, we need to. Mumia Abu-Jamal will be 65 years old in a few weeks. His eyesight has been severely compromised making it hard for him to read, because he is suffering from as yet untreated cataracts and serious glaucoma. He is recovering from life threatening complications of Hepatitis C and diabetic shock caused by a reaction to treatment for debilitating skin rash conditions. The grassroots movements in Philadelphia are surging. Abolition will be the reality, this is ground zero and a tetonic change is coming. You can just feel it. Mumia Abu-Jamal’s quest for freedom is part of that, but in a far more universal and fundamental way the community is all rising. Because Philadelphia is so “up south”, the impact has galvanized, inspired and birthed a powerful grassroots movement that is advocating in the state capital Harrisburg and in cities in every county for decarceration. Google any one of these groups [Human Rights Coalition, CADBI, Decarcerate PA, Lifelines, Abolitionist Law Center, Amistad Law Project]. You will see, feel, and hear thousands of people advocating for their loved ones inside. These are the very people who swept Larry Krasner into power. They are mobilized, they are strategic and they will not be satisfied util their family members are free. It is incredible to see they are bringing the heat, demanding real change, and holding folks accountable. 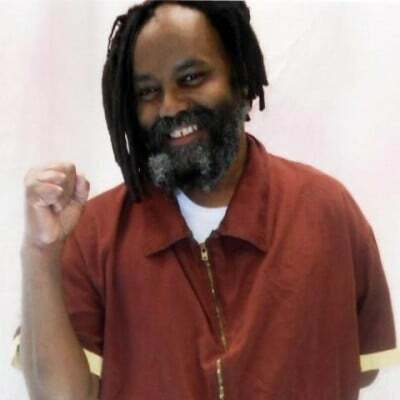 Mumia Abu-Jamal is closer to freedom than he has been in a quarter of a century, When Mumia comes home, it will be historic. Surviving is the first step, and now real fundamental revolutionary change, abolition is the next step.